What shall we do when we realize that our bed has gained a new, furry bed companion? Sooner or later, every dog owner won’t be able to resist the sad eyes of a dog , asking to jump into the bed. The dog bed that we got him to feel safe and warm – stands useless in the corner, looking almost brand new. In contrary, our bed is full of pet hair and scratches. How to find a way out of this situation and get our dog to spend the night in his own bed? First of all, remember that it really is ‘harder to teach old dogs new tricks’. When we bring a new puppy home – it’s important to get him sleep in his own dog bed from the very first night. 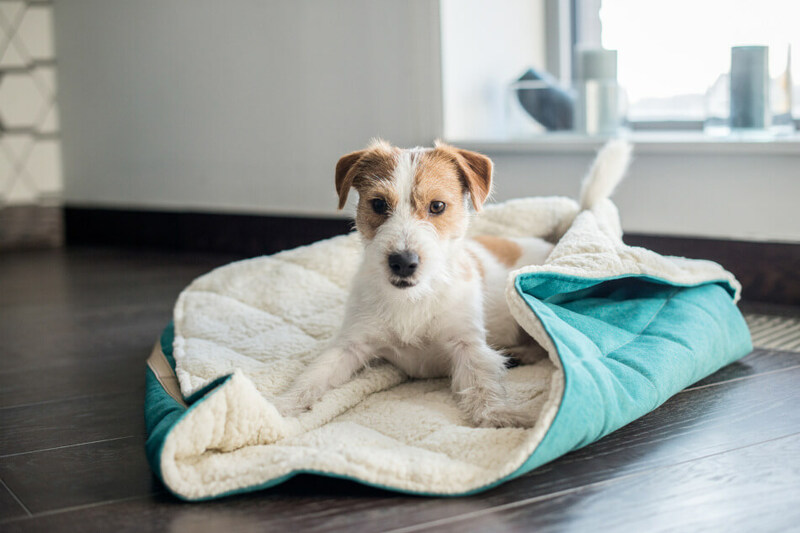 His bedding should be located close to our bed – so the dog can feel really safe at night. If the puppy gets extremely uneasy at night, let’s sleep on the floor or the couch next to his dog bed for the first few nights. It might not seem very comfortable, but it will help our puppy to get used to the new place and his new bed. If we let him sleep in our bed this time, any further attempt to move him to his own dog bed can be hard to understand and traumatic for our dog. Just like people, dogs like to sleep in a place where they can feel safe and comfortable. 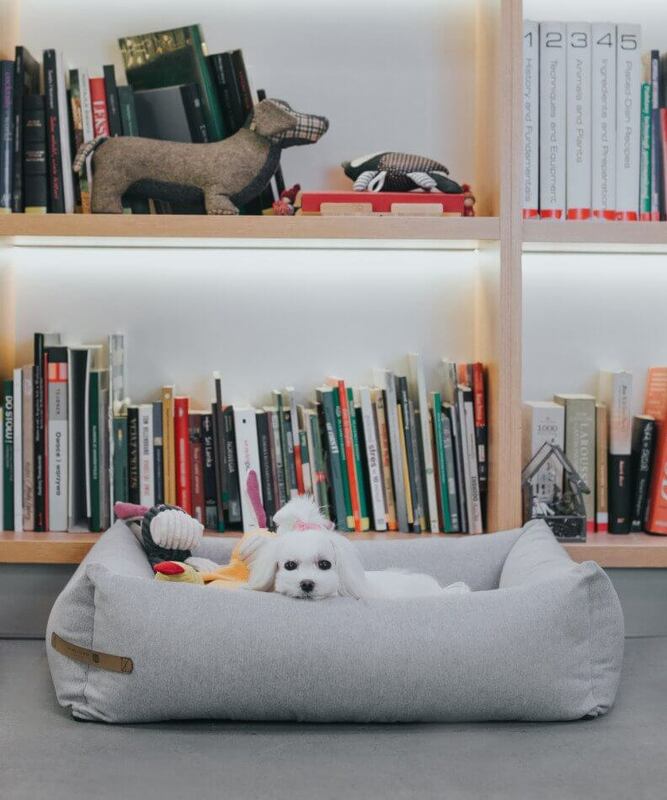 Choosing the right dog bed is crucial. First of all, the size should match the dimensions of our pet. If the bedding is to small it may be simply uncomfortable for our four-legged friend. On the other hand, when the dog bed is too big – it won’t make the dog feel cosy and homelike. Perhaps our pet would prefer a bedding in the form of a pillow or a dog mat. 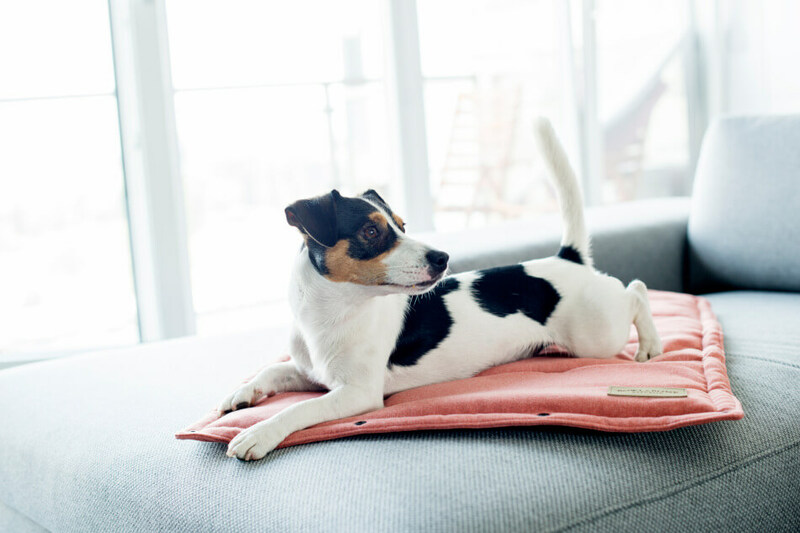 Bowl&Bone Republic offers very comfortable dog cushions from the DECO and LOFT lines, as well as the soft DREAMY thick sleeping bag. 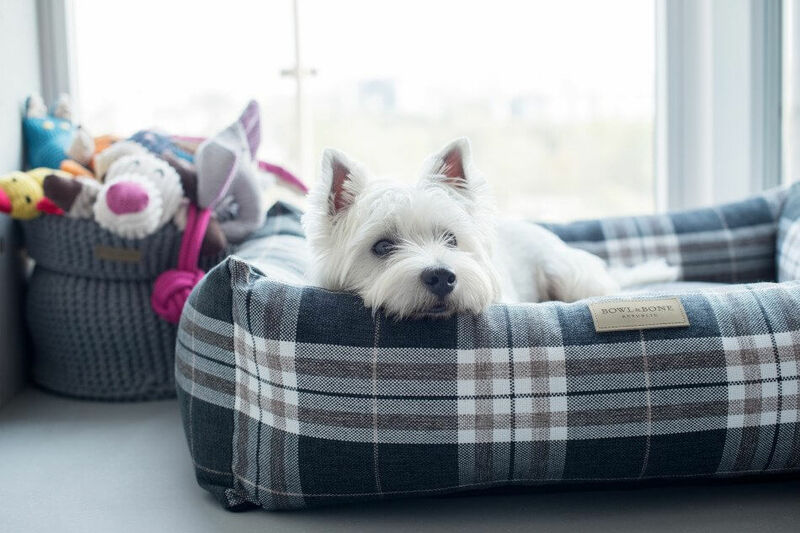 So if we notice that our dog is not very eager to use his bed, let’s make sure whether it’s well suited to our best friend’s needs. Our dog’s sleeping spot can’t be just a random place in our house. Dogs like to sleep close to their owners, so it’s a good idea to place our dog’s bed in the room where we sleep. Our doggy feels much safer when he has his beloved human within his sight. First of all, we should stick to the rules with our pet. Even one night break can make the dog feel strongly disoriented about his sleeping place. If our dog has always slept with us so far, it will be a long process to bring in the new rules. If we want our dog to sleep in his own bed, we must be relentless. What if our dog feels uncomfortable in his bed? If our dog feels uncomfortable in his bedding, especially when it comes to a brand-new purchase, perhaps he lacks something that smells familiar. 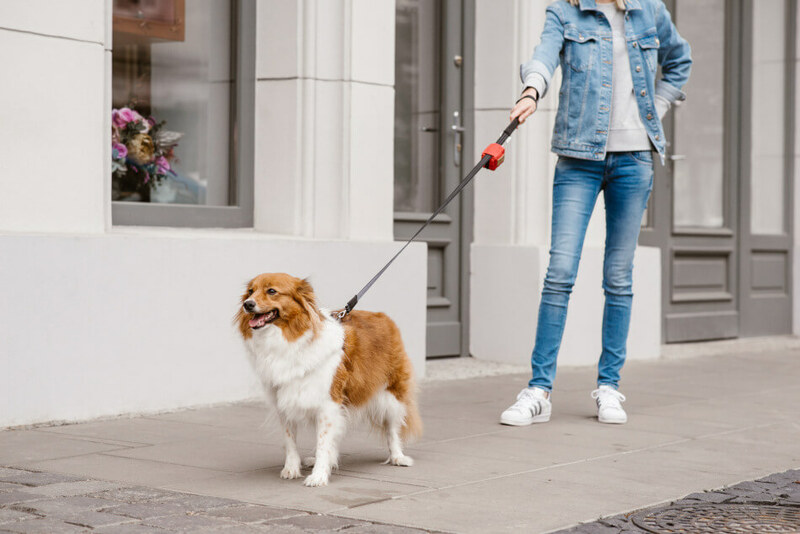 It can be his dog toy, blanket or his favorite pillow – something that feels homelike. It’s also important to keep the dog bedding clean and tidy. Any leftovers or tufts of hair can make the dog want to stay away from his bed. The dog bed must stay clean and comfortable in the first place. There’re many dog owners that do not see any problem in sharing a bed with their dogs – and there’s nothing wrong about it. If sleeping with our four-legged friend at sight brings us happiness, let’s not give up on it. However, in this case we should remember to be a little more strict about our dog’s hygiene.